In the great free interactive eBook, The Connected Teacher: Powering Up, you can read stories by teachers and school leaders who are making the shift to technology infused, student-centered learning in their classrooms and schools. 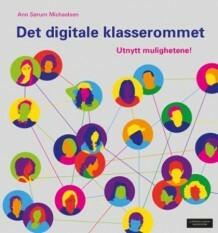 Great to be co-author with so many brilliant educators! I’m lucky to have been able to participate here and I hope many teachers take time to read these articles with hands-on advice. As Sheryl says: If you have not yet begun to thin the walls and open the doors of your classroom, school, or district, you’re most likely plagued with the same nagging feeling we started with: something is missing. Educators have accepted and perpetuated professional practice behind shut doors and in closed buildings, our day-to-day work disconnected from colleagues’ efforts. We have read, we have listened, and we have been talked at. We have done the best we could do given the resources available. So what are we missing? Meaningful collaboration and authentic collegiality…. The personal essays, which first appeared in the Voices from the Learning Revolution group blog, include images, clickable links and videos – plus selected comments by readers of the original posts. Powering Up is our free gift to you, as you help us celebrate the launch of Powerful Learning Press! 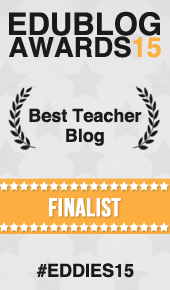 Next Post: The Edublog Awards!